I've lived decades in the USA and decades in Europe. I played music for a living for some of my time in the USA. I was involved in some industrial IT things in France. I began to write about my experiences on the road at https://strictlybeta.com and upload most of my music on https://soundcloud.com/randulo. In 2018, I began learning the saxophone, and that became the center of my musical activities. As a kid, I loved SF and still do, but I don't have the patience to read. "Did you mean to go to...?" Today I went to ring.com and the Brave browser put up a message "Did you mean to go to bing.com?" Does Chrome do this? It looks like it did, but I have never seen this in Chrome. It's as annoying as hell, too. Ok, if you type biing.com, it would make sense, and I have seen those, inside Google results, when you type in an address that doesn't exist. Adrian Colley and Christoph S like this. It makes sense. It could be just the warning you need to avoid typing in a password to a typosquatting site. I respectfully disagree. This was not a search result, this was me typing in a URL that works. It lands on the URL but asks if I wanted Bing, which I never use. Even if it was "protection", it should be optional and oddly enough, it does seem to be in Chrome but not Brave, although the people complaining in the above Google forum didn't seem to see that. Peter Lindelauf and Y A like this. An interesting collection of thoughts by people experienced in the idea of ethics and technology. I love that Friendica has a filter (or at least iSurf does, I'm not sure if it's optional by pod). Go here and add stuff you're sick of seeing. I just did. Danie van der Merwe and alysonsee (Fca) like this. Yes it's a Friendica thing - I also have Advanced Content Filter on Squeet.me node. Friendica has an add-on I appreciate, in the settings:addons page. There are settings to black profiles, but more important to me, you can filter words to collapse posts. If you do, you'll see one short text informing you of which word was caught. Very cool, highly recommended. Christoph S and Beej Cobalt like this. A homemade blue corn tortilla with some cheese and hot sauce. Y A and Christoph S like this. @Peter Lindelauf Only a part of the meal! Fèves au jambon de parme was the main dish. No idea at all what we're talking about. Maybe Google+ becoming Currents for a minute. This is actually the second time an app has been named Google Currents. Christoph S and micha like this. Peter Lindelauf, Chiara 🏵 and William Robison like this. 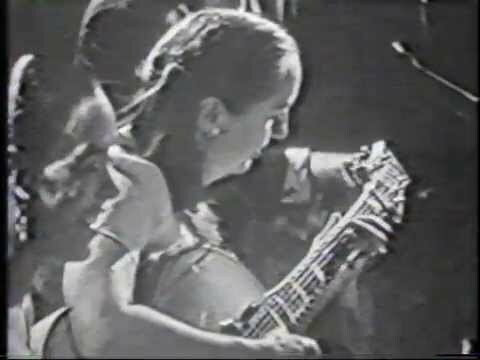 In this video, the preview shows Billie Holliday sitting next to guitarist Mary Osborne. Pianist Marian McPartland gives insights into what jazz is about. Very cool. Paul Gatling, Peter Lindelauf, William Robison and Gino Nkone like this. This is not a new theme for me. I have to cull my feed every day to remove profiles that continually post things I consider as destructive as the issues they describe. Give it a read and make sure you're not one of them. We all build the world we live in. Anger and fear are the human refuse that pollute the Internet today. While they are concentrated on Facebook, the same concept can be found everywhere from in-person conversation, depending on who you frequent, to platforms like this one. Peter Lindelauf and William Robison like this. Berlin May 5th - Relax! I often post the processed tea stains from afternoon tea on Pluspora and now iSurf. I put some of my favorites into a gallery on Medium. If you've liked some of those I posted here, please check these out. If you enjoy them, a "clap" or two is much appreciated! Interesting how we are capable of creating so much beauty, but also so much misery. Christoph S and William Robison like this. I wrote this exactly one year ago as a reaction to an article I read about a guy complaining that some college kids got everything free and didn't know what it was like to build a business. Thing is, this man inherited his business from his father. Diaspora/Mastodon: The Inmates are Running the Asylum! I think everyone is pulling back a little. The sobering and repeated Facebook "scandals" and the bitterness over the Google+ closure has awakened a lot of people. They now realize they were wasting more time online than is reasonable when they have lives, families and potential to do other things. Google+ was obviously a poor investment, other than temporary gratification. The trick is to not be so insecure as to need those online distractions to make you feel liked, wanted or at least getting attention. I believe the world of social networks is especially great for shut-ins, prisoners, people who have reduced mobility for health reasons, introverts, agoraphobics, very old folks and such. I think the majority of us would be better off spending less time online in vapid social network conversations than in real life doing facetime in the non-patented meat space version. Pluspora was a great initiative. It brought me back after 8 years of inactivity on two original Diaspora pods. It introduced Diaspora to others at a critical moment. MeWe is just another silo with a business plan and while I'm happy if people find it fills their needs, I'm also sorry for them; it's a private company that will do what they do. Mastodon is fantastic. People complain there's no one there, which is obviously not true. And you can engage here with its creator, an amazing young guy who posts daily. The other platforms that connect to federated platforms, like the one I am typing on, Friendica have a huge potential. They're like the guy or girl at the dance that nobody notices. Inside, people will love it, be fiercely faithful and adamant about open source and federation. Except the sanity is inside the asylum, not outside! Outside is business as usual. Outside the asylum is nefarious trafficking of your data for financial gain and power. Manipulation, the spread of anger and fear. micha, Danie van der Merwe, Christoph S, Gino Nkone, Peter Lindelauf, Paul Gatling and Thomas Heitsiek 🐈 like this. I like your metaphor about "the guy or girl at the dance that nobody notices", it's very appropriate. @Gino Nkone and here's the thing. To many Diaspora developers, "that's a feature, not a bug"! In other words, they're fine with that. But Diaspora (Friendica, etc) is not going to turn into the dumpster fires of Twitter or Facebook if people notice it. I intend to go out and ask people to dance! I try to spread the voice to my friends ans acquaintances , the problem is that the fear to lost their social networks is too scaring for them. People accustomed to years of Twitter, Facebook , etc, don't want to rebuild their networks from scratch (maybe for the gplus people is different). I'm Italian and I speak a little English, I'm okay in the Fediverse, but the Italians are too few, sometimes we speak English between us. It's very difficult to convince other people to join the Fediverse. I have been feeling a little less social this week, but it actually has little to do with the shutdown. We spent the week in Sonoma. Friends joind us on Monday but had to leave Tuesday morning because they had to drive back to LA to put their dog down. I do think much of your analysis is correct. I have noticed that many of the people that are active on social media are in a job like tech support, where they have time to kill while waiting for something. Some others have some sort of disability. Getting people back into the real world is certainly a good thing. What I find, even among normally intelligent friends, is that they don't see the time wasted. I consciously avoid looking at my phone in waiting rooms, unless I know it's going to be really long, or I am waiting for something. Even time wasted as in a waiting room is better spent reflecting. When I want to get things done, which is every day, I love to post and chat, but I break away as soon as it's time to get to what has to be done; Then I'll take pauses and go look at the networks. It can be a good way to kill time while in the passenger seat on a long drive. "How Long Has this been Going On?" Sounds like it's about infidelity, no? In fact it's more about virginity, or more precisely, a girl's first kiss (in the original). Y A and Aline like this. What's unfortunate is that Texture is a good app and was a service worth using if you like to read or browse through a large number of magazines. The cost was around $10 per month. How many magazines can you buy for that? Two, if you're in an airport kiosk! Texture ends on May 28th. Same price, but there's a problem: the app is iOS and MacOS only, and on MacOS, it's only the latest OS version, which my computers can't get, because they're from 2011. On the one hand, I like the concept of Texture (I haven't seen News yet, but I already don't like the idea of new s being any part of a magazine library). But this is a model that is pretty much the only hope for magazine publishing. Maybe that's why Apple is taking 50% of the subscription fee for their commission. The math probably does work for both sides, though. Someone needs to step up in the non-Apple world to get Android tablets a magazine app similar to Texture. Texture was one of two uses for our first-generation Nexus 7" tablets. The other is MX Player for video and audio. Christoph S and Peter Lindelauf like this. I use Zinio on Android tablet. Get all my magazine subscriptions there except New Yorker, which has its own web reader. @Peter Lindelauf who do you pay? $10/month was for 200+ magazines. Zinio for Smithsonian, New Scientist, Wired, Popular Mechanics, Mother Earth News, Harpers, etc. New Yorker direct. Roughly 1/4 to 1/3 of a magazine-in-the-mail subscription. New Yorker, we get the magazine (which Jenny reads) and I use the app. No option for online only. I'm partial to being able to read a 'full size' magazine page on a 10" Samsung tablet. @Peter Lindelauf it's "full size" on whatever screen you have. The old Nexus happen to be 7". I briefly considered buying an iPad, maybe used, but it's my wife who reads them and she doesn't want to invest. Apple should have continued on Android, but hey, that's up to them. Ha, re full size. Let me reword that. I like to be able to view and read a whole mag page without having to zoom and/or drag the page around. I've had a couple of Samsung tablet. The current one was about $300 US on Amazon. Hard to top that price. About double in Canada. @Peter Lindelauf I was asking what the monthly subscription was. If it's individual subs, it's way too much. Ok, in conference now for an hour. Ah. Sorry. Second coffee here. All I know is I used to spend a small fortune of magazines and books especially for reading matter while away from home doing forestry work. Now I don't. As for the Apple app, I can't imagine bothering to read a magazine on a...phone. @Peter Lindelauf Tablet, not phone. They have a great selection because Texture was Conde Nast. Just looking at picture to the left. Yes, of course, tablet, but less than 10" ain't enough. Ha. Jenny sticks to books and real magazines but has come to accept my illuminated 'book' and bedtime reading. @Peter Lindelauf Actually it works on desktops too, but I refer to the service, I do,'t talk about the hardware. 200+ magazines, many very good ones like Ad Week, for $10. I'd be surprised if there are a ton of these. OTH, I think someone will, whether Amazon, Google or Microsoft. It says Zinio has 6000 mags but I have no interest in Bridal Fashions, Sports Illustrated or a glut of other dreck. Think I spend about $150 a year or about $12.50 a month for a dozen subscriptions. That's a good enough deal for me. @Peter Lindelauf It's a different model but I will take a look. Another aspect is, she wants to read American magazines, many professional like Ad Week, and they're not available here. Pardon me for digressing. Bear story? Ha. Completely off topic here but when I play my demo playlist of soundcloud, My Lucky Star always comes up right after. Never fails to stop me in my tracks (no pun intended) for a close listen. Brilliant song and I never use that word the way the English do. So we had a discussion today, and my wife gave me several reasons why she wants nothing to do with Apple ever. This latest move I describe (no Android version) is annoying. I looked at Zinio and then https://www.magzter.com/ which has a $10/month plan. Both have international choices, but Zinio doesn't seem to have a pay one subscription price. I'll look more later. So, when the old Nexus 7 dies, I will look at 10" Android tablets, I guess. Meanwhile, our tablets still work, more or less, as reading and media devices. Ha. One reason I 'upgraded' my original Tab 10 in buying a new one is that the new Zinio app wouldn't work on old one. The new one, on the other hand, lacks an accelerometer so I can't use it with star chart apps. Or or have to use my Samsung phone. All of which is way more complicated than just looking up at the stars. The splintering of various markets into a host of viewing options and tech requirements can get a bit annoying sometimes. On the other hand, the book and the magazine are starting to feel like quaint artifacts.